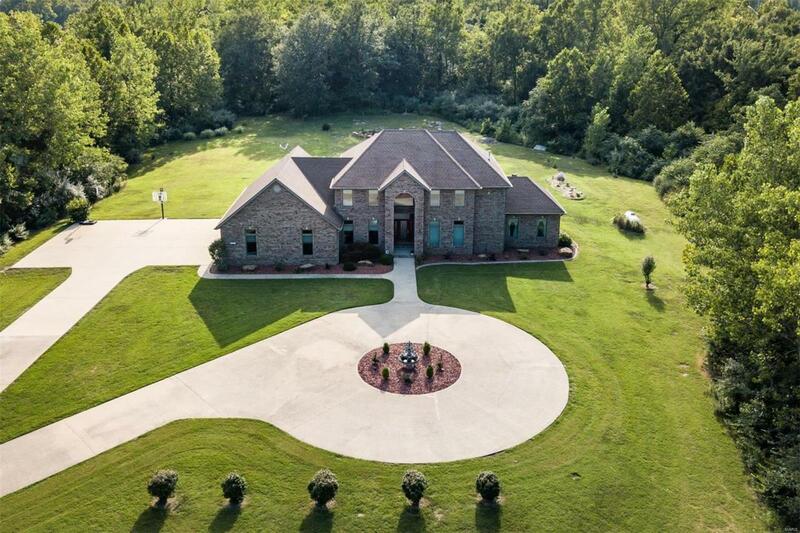 One of a kind secluded custom built home on 14.86 acres wooded with Lake access and Inground Pool. Gated entrance leads to manicured landscaping with circle driveway. Enter to 2 story foyer with formal dining room with new cortec plus flooring. Gourmet kitchen has New Appliances, Wilsonart countertops, granite center island, custom cabinetry & walk-in pantry. Breakfast room w/wall of glass doors and view of the in ground heated pool surrounded by beautiful landscaping & fencing. Two story great room w/fireplace. Main floor master suite includes luxury bath, separate shower, dual vanities, 2 closets and new flooring. Enjoy taking in the light and beautiful views from many oversized Marvin windows throughout the main floor! 4 bedrooms upstairs, loft area, 2 full baths. Partially finished full basement w/fireplace and full bathroom. Oversized garage has climate controlled storage closet, woodworking area. Make this home your own private oasis!